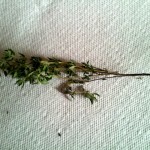 You’ll see some Jamaican food recipes call for “a sprig of thyme,” that usually means one branch as shown in the image. 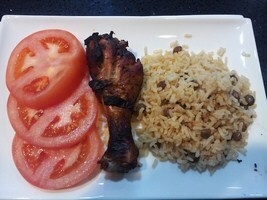 As is typical of every Jamaican meal, you can put a little more or a little less depending on how much flavor you want. Remember not to put too much so it does not become too overwhelming and all you taste in the finished meal is thyme. 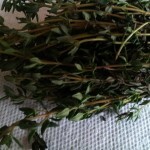 Thyme is typically used in seasoning almost every kind of meat and especially in soup (usually cooked on Saturdays) and rice and peas (usually cooked every Sunday). 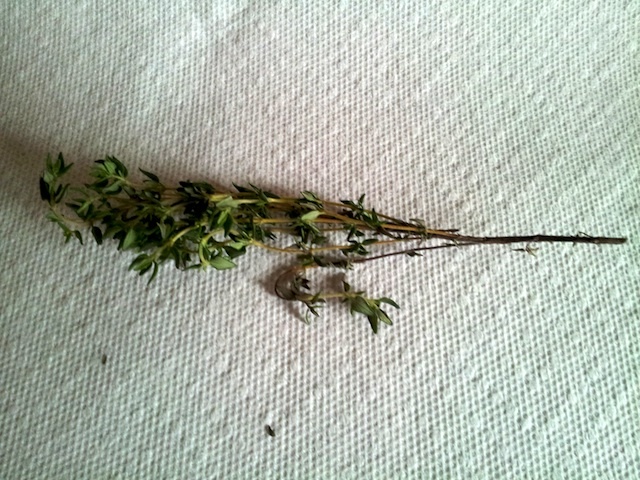 You can usually find fresh thyme in your local grocery store in the produce section. Or head to the Farmers Market and seek it out. Its best you buy the fresh thyme (much better flavor) as opposed to the bottled one. 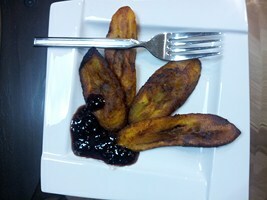 But if you live in a location where you cannot find the fresh one, the bottled one will do. 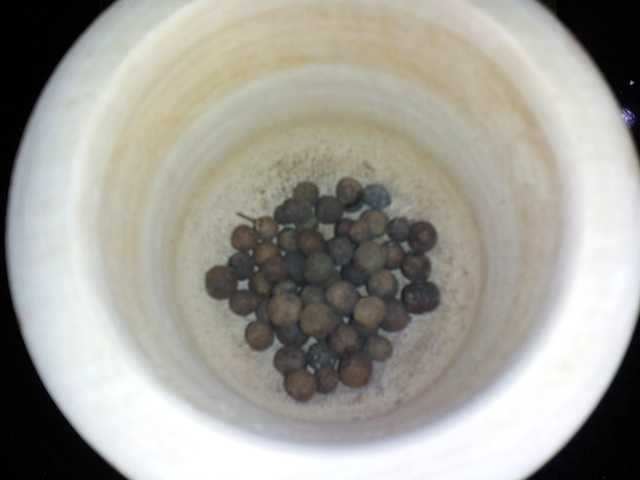 Its preferred to use it while its green, but it can still be used when its dried. Except at that point the leaves start to fall off, then it has a slightly different flavor, but you won’t taste it in the meal. To store it, just place it in the plastic bag you placed it in at the grocery store inside the crisper part of your refrigerator with your other seasonings. 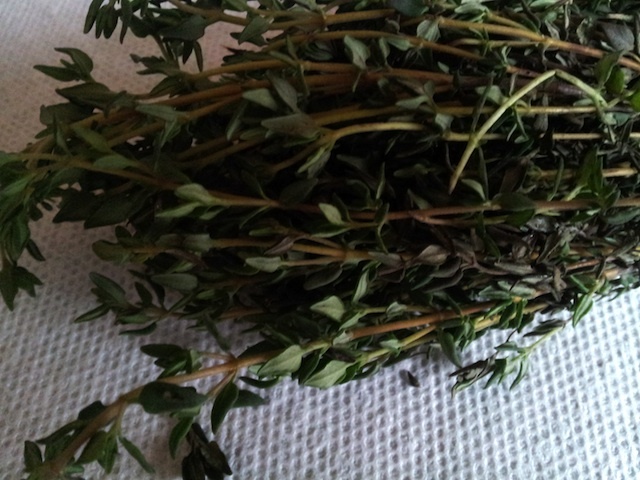 Let me know what you think of this article and if you’ve ever used thyme in your cooking and how did you like it by leaving a comment below.